← Ups and Downs: Welcome to Jamaica! Hello from Lira, Uganda! What an interesting, eye-opening, and fun experience this has been so far! I have now been in here for a month and I have no idea where the time has gone. Between getting settled into a work routine, bartering for fruits and vegetables at the local supermarket, and dodging crazy boda boda (motorcycle-taxi) drivers and bicycles, it has all seemed to pass by in a flash. 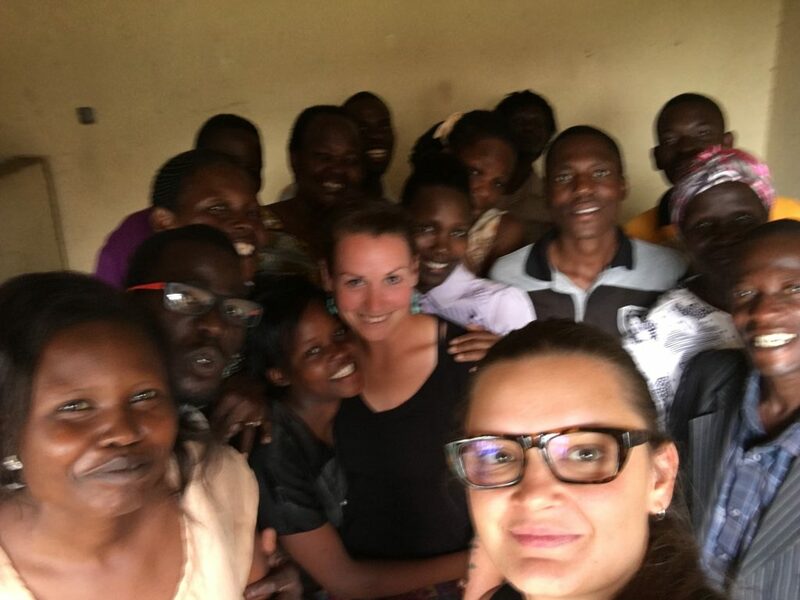 One of the things that has left the greatest impression on me amongst all of the new stimulation associated with moving to Uganda has been meeting the Community Based Organizations (CBOs) that we will be working with over the next six months. 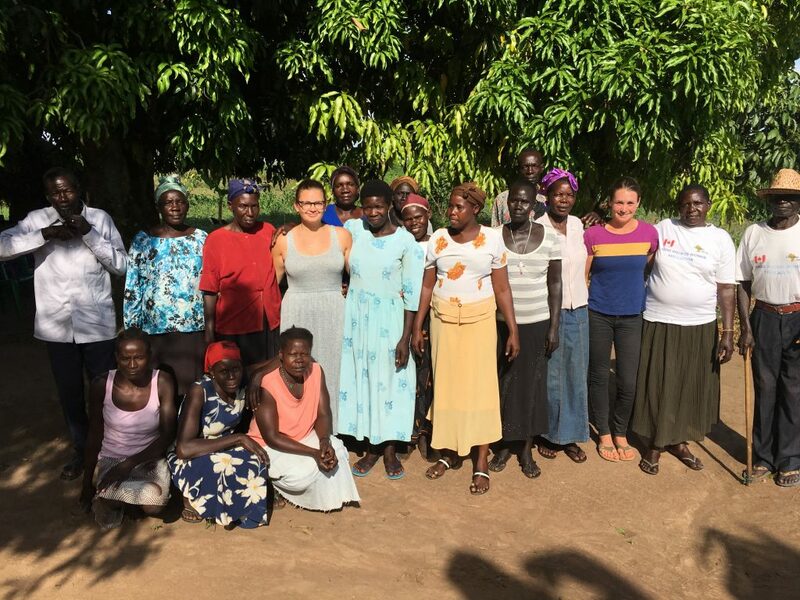 The Canada Africa Partnership (CAP) in Uganda currently works with three CBOs: the Needy Support Centre (NSC) in Kampala, the Aboke HIV/AIDS Woman’s Association (AHWA) in Aboke, and the Obanga Ber Women’s Group in Boro Boro, Northern Uganda. The resilience, strength, and kindness demonstrated by all of these groups has simply blown me away and inspired me in regards to what I can do to make a difference and learn while I am here. We started with a meeting with the NSC group on one of our first days here in Kampala. To get there, we had to battle through the chaos that is downtown Kampala traffic and then meander down red dirt alleys whose ruts started small and grew to over 2 feet deep as we precariously drove down the final path to the slum district known as Nakawa. We were greeted warmly by the group, and after an opening prayer and introductions, as is custom at all meetings in Uganda, we got down to business. The group went on to describe the work they currently do in the community as well as their Village Savings and Loan (VSL) Scheme, an income-generating project that was kick-started by the previous CAP intern in Uganda. Through this program, the members of the group are now able to contribute small amounts to savings each week (usually UGX 2,000 to 10,000, which converts to roughly CAD$1-4), take out small loans for business, and they also have an event fund available for members to be used for weddings, deaths, or graduations. You can see the pride the group has in this program on their faces as they show us the savings books they each have, where they receive stamps each week to track savings. Beyond that, you can see how this small but efficient project has not only helped to provide financial support for the individual members, but has also brought the group closer together, providing not only economic but also social stability. Not only has this small project made the individual members and group much more self sufficient and sustaining, it also gives them more resources and time to support those in need throughout their community, notably the orphans and vulnerable children affected by the HIV/AIDS epidemic. It was pretty inspiring stuff to start things off, to say the least. We met the next partner CBO, the Obanga Ber Women’s Group, at our office/training centre at the Home of Hope in Boro Boro. This group is a women’s-only group that does outreach counseling and education about HIV/AIDS in their local communities. They focus specifically on helping the most vulnerable populations: orphans whose parent have died from HIV/AIDS, as well as young HIV-positive women. As we sat in the meeting asking questions about the group, I was struck by the courage of each of these women and how, despite all of the hardships they have had to face in their lives, from war to disease to droughts, they have come out of it only looking to help others in their community. Most, if not all, of the women of the group are living with HIV, a disease that carries much stigma in rural Uganda, and yet, they proudly wear their CAP-AIDS Uganda t-shirts and openly talk about their status in the community in the hopes that their openness will decrease stigma and the fear associated with getting tested and seeking treatment. Despite lacking a source of income for the group, the women continue to educate the people in their communities and help those affected by HIV/AIDS wherever and whenever they are able to. 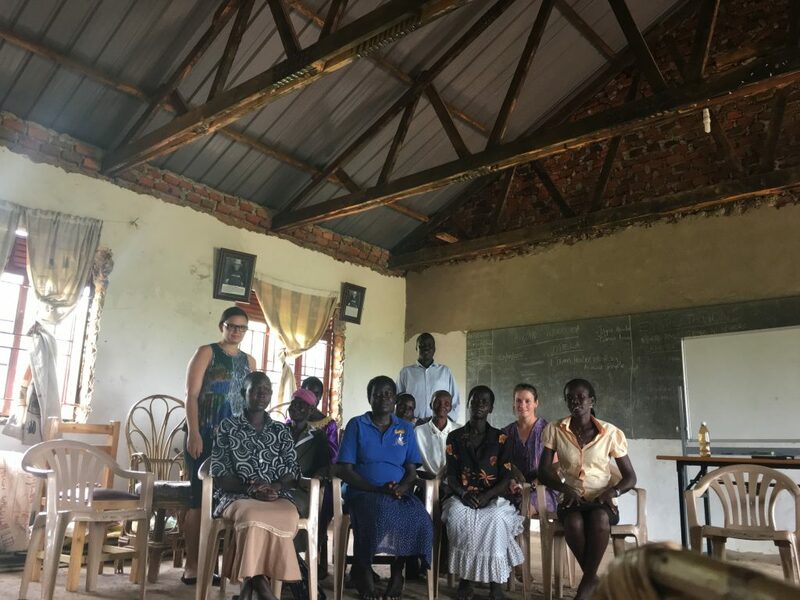 And finally, just last week, we were able to schedule and meet with the Aboke HIV/AIDS Women’s Association (AHWA) in Aboke, about an hour drive west of Lira. As we arrived, once again, down a narrow foot-path that I was sure the small car would not make it through, we were greeted with cheering, yells, and handshakes all around. We sat around for a half-hour as the group slowly assembled, with members often having to run to other members homes to get them for the meeting, as some do not have cell phones. Eventually, we settled down to talk about past projects and future ideas for the group. The group consists of 22 members total (17 women and 5 men), and was started in 2007 when the current chairperson, Santa, started helping people in the community affected by HIV/AIDS by providing counseling and whatever she could in terms of basic necessities, such as sugar, soap, and salt. Since then, the group has expanded and has partnered with the CAP/AIDS Uganda on a variety of projects working to help their community fight HIV/AIDS. After exhausting the conversation around future project ideas (there were many!) it was eventually time to go and we departed to the sounds of cheering and flashes of shaking branches (see video below). Once again, the community work done by the members of the group astounded me. Most of the group members are struggling to get by on their own, living from one fragile crop harvest to the next, and yet, they find a way to help those affected by HIV/AIDS in their villages with almost no resources. So, what more can I say! Other than that I am truly looking forward to working with each of these CBOs, not only teaching them skills to develop their capacity, but even more so to learn from them about how they are working to get things done in their respective communities. In the upcoming weeks we will be meeting with the CBOs to narrow-down and refine micro-project ideas and by the next time I post, I should have a much clearer idea about what that project will look like. This entry was posted in IYIP 2016-2017 and tagged #IYIP2016, CAP Network, Uganda. Bookmark the permalink. Thanks for the good work done, As we too Tree Hope Foundation is a community based organization that helps children and people in the community in different activities like sports, education, religious, health consoling and community development.